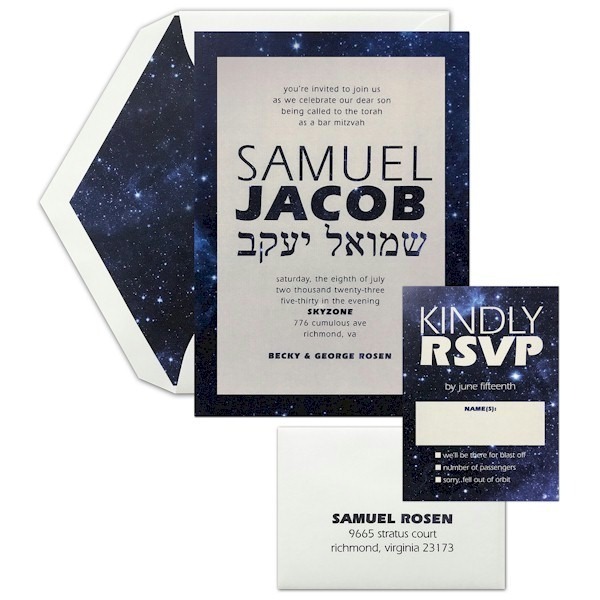 This celestial-inspired Bar Mitzvah invitation is digitally printed on vellum card stock and features your wording “dropped-out” in a starry pattern to match the bottom layer. Additional Specialty Patterns are available! 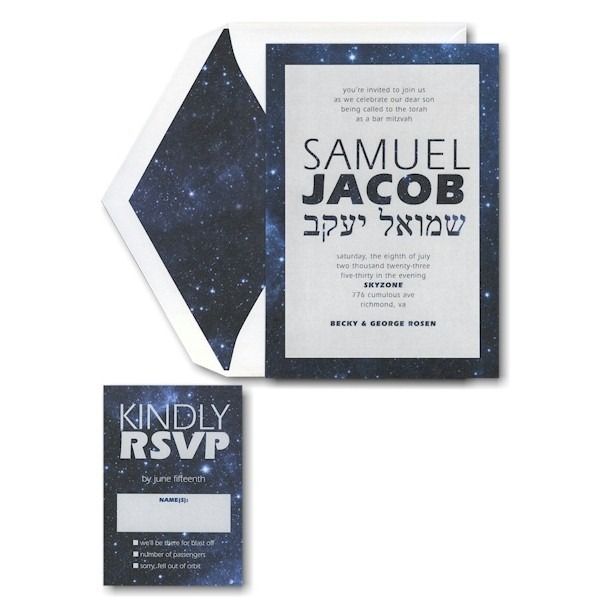 This celestial-inspired Bar Mitzvah invitation is digitally printed on vellum card stock and features your wording “dropped-out” in a starry pattern to match the bottom layer. 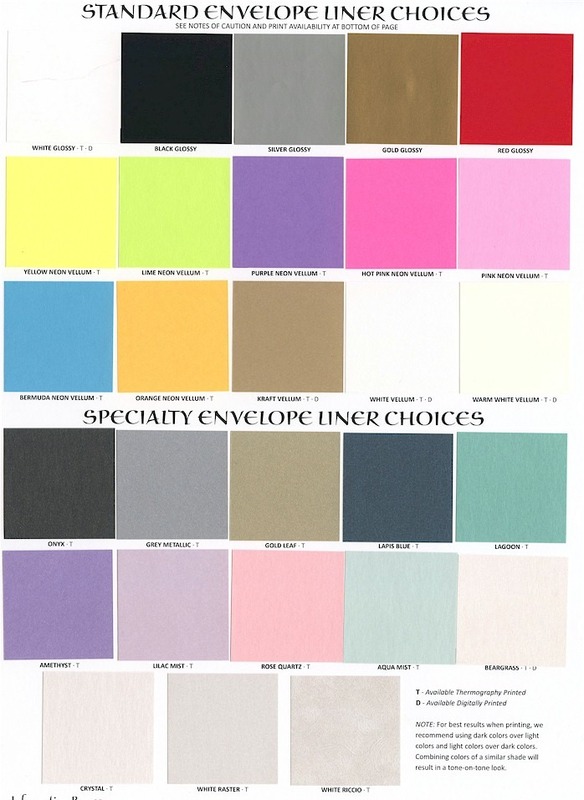 Additional Specialty Patterns are available; please see below. Measures 5-1/2″ wide by 7-3/4″ high. Shown with Specialty Pattern SPC22 and lettering styles Eras Book/Eras Ultra. The Reception and Response enclosures will print on matching single card stock and the Informal Thank You notes will print on matching folder stock. 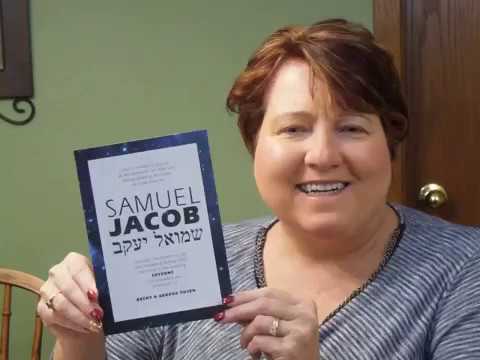 This Bar Mitzvah invitation comes with double bright white envelopes. View Specialty Patterns here. Please specify your pattern choice. If a pattern is not specified, SPC22 (Celestial) will be used. 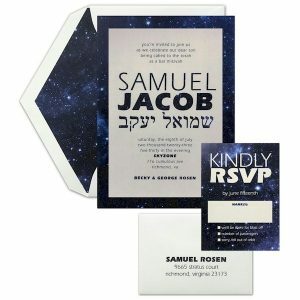 Corner copy, or a footnote, is smaller text to the lower left or right of the invitation wording and is sometimes used to indicate Black Tie or RSVP information if Response Cards will not be used. Corner copy will add $10 to the total cost of your invitations, regardless of quantity. And indicate up to 3 lines.